Binary Option Charts and Analysis | You can`t trade without them! Charts are a graphic representation of an asset’s performance during a predefined period of time. Basically a chart shows us the current price of an asset and also its past prices. Ok, you might say that we don’t need a chart to see that because it could just as well be represented by a number. That’s true, but the main advantage of a chart is that we can visually compare the current price with a previous one and we can perform analysis on it… hmm analysis… sounds familiar. Remember Supply and Demand and how these can affect prices? Good. When the price is going up or down for an extended period of time, influenced by Supply and Demand, a trend is in place. You probably heard before that in trading, “the trend is your friend”. Well, it is, but sometimes it’s hard to recognize it and this makes me remember a guy that came up with one of the best and easiest way of identifying a trend: just ask a 4 year-old kid if the trend is going up or down. You need to take his advice with a pinch of salt, but what I am trying to say is that you have to keep things simple and don’t over analyze charts. 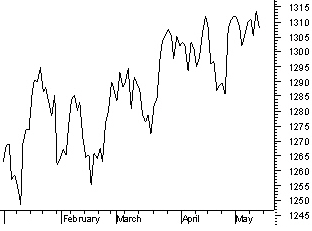 If a chart is going up, why go against the flow of the market? It’s better to just go with the trend and choose Call. Over time, traders tried numerous complicated ways of identifying trends, but from my experience, the simple way is the best way. I’m not saying that you should go and bribe kids with candy to make them tell you what direction a chart is going, but instead use your common sense and follow the main direction of the market. Binary Options are known for their simplicity but don’t let this fool you. The actual mechanics of trading binaries are simple because the platforms take all the complicated stuff out of the equation. You don’t have to calculate position sizes or Stop Losses like in Forex and once the trade is placed, basically all you have to do is wait for it to expire. That’s good, but if you want to get better at trading, you have to get better at predicting the direction of price. 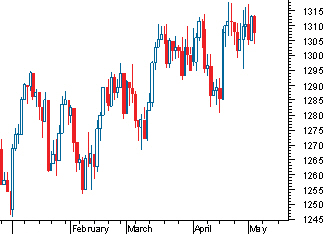 This can be done with the use of technical analysis and a big part of it is represented by technical indicators. These come in many forms – Relative Strength Index, Stochastic, Moving Averages, MACD to name just a few – but true strength comes when you combine various technical indicators to create Binary Options Strategies. Of course we have a wide variety of strategies for you to choose from, but first you must complete the School section, you cannot just jump in and trade a strategy without first mastering the basics. Basically, charts are a graphical representation of an asset’s performance during a predefined period of time. This definition doesn’t apply only to Binary Options charts, but to all financial charts that track an asset’s movement. There are three main types of charts: Candlestick charts, Bar charts (also known as OHLC charts) and Line charts. All of them have particularities and can be used for different purposes, but their main use is for analyzing how an asset moves and how it reacts to economic or financial news and support and resistance levels. This is the most simplistic type of chart and it shows price movement as a line. It doesn’t provide solid information about open, close, high or low and also, it doesn’t show what happened in the period analyzed. For example, if you are using a one hour candlestick chart or OHLC chart, you will notice how the price moved during each hour but a Line chart doesn’t provide such information. Unfortunately, this is the most common Binary Options chart and most brokers show us quotes with the use of such a chart. Below you will see a Line chart but the screenshot is taken from Meta Trader 4 and it still offers more information than a Line chart seen on most binary options platforms. 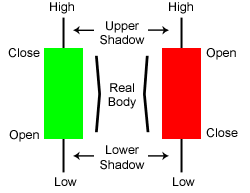 The abbreviation stands for Open High Low Close and the bars are very similar to candlesticks. In fact, they show the exact same information but have a different graphical appearance. Choosing between a candlestick chart and an bar chart is just a matter of personal preferences because they show the same information, but to me candlestick charts look better, probably because it is the only type of chart I ever used. Fundamental analysis is the examination of the underlying forces that affect the well being of the economy, industry groups, and companies. 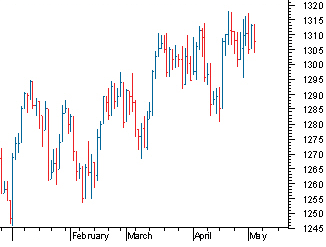 As with most analysis, the goal is to derive a forecast and profit from future price movements. Fundamental analysis is about using real data to evaluate a security’s value. Although most analysts use fundamental analysis to value stocks, this method of valuation can be used for just about any type of security. Technical analysis is a security analysis methodology for forecasting the direction of prices through the study of past market data, primarily price and volume.Technical analysis is a method of evaluating securities by analyzing the statistics generated by market activity, such as past prices and volume. Technical analysts do not attempt to measure a security’s intrinsic value, but instead use charts and other tools to identify patterns that can suggest future activity. Usually brokers don’t pay a lot of attention to their charting package and they don’t really understand how essential this is for a trader. Trading without a chart is like trying to cross the street blindfolded. Sure, if you’re lucky you might make it to the other side of the street… but I wouldn’t try it. Since Binary Options charts offered by our brokers are not too helpful, we must look in other places for them. The best way to do that, in my opinion, is to get a free demo from a Forex broker who offers Meta Trader 4. Then you will have all three types of charts available, indicators, Fibonacci tools and everything you need to conduct a proper analysis. Trades will be executed of course on your Binary Options platform, but this way you have the best of both worlds: the simplicity of trading Binary Options and the complexity of a proper charting package. Now you have a basic understanding of the forces that influence market direction and you know that following the main direction will increase your chances of success, but it’s time to make a decision and dive into the market. What you have to understand is that your decision must be based on clear facts, not on gut feelings. Once you have identified a trend and you’ve checked economic or financial news that could affect that asset’s supply and demand, all you need to do is choose a direction based on your analysis, using price action and technical indicators. It’s not rocket science and it shouldn’t be treated as such, but all the pieces of the puzzle must fall into place. Then the fun begins, because making money with Binary options seems like fun to me.